Elizabeth Thomasson has a B.A. and M.M. in Piano Performance from Brigham Young University. Her studies included courses in piano pedagogy, music education, music theory, and music history. Additional study was done at the University of Wisconsin-Madison; the Mozarteum in Salzburg, Austria; Ithaca College, Ithaca, NY; and the Dorothy Taubman Institute, Amherst, MA. Her teachers include Maria Syllm, Paul Pollei, Reid Nibley, Robert Smith, and Mary Moran. She has taught beginning, intermediate, and advanced piano students, maintaining a private piano studio for 35 years. She has also taught private piano at Brigham Young University and Cuttington University College in Bong County, Liberia, and has coached piano accompanying students at Ithaca College. Her teaching experience includes 10 years of class Kindermusik instruction at all levels. She has performed extensively as an accompanist for soloists, choirs, and small chamber ensembles. As a college student she performed concertos with both the Utah Symphony and the BYU Symphony Orchestra. She is currently the accompanist for the young adult choir of the Albuquerque Institute of Religion of the Church of Jesus Christ of Latter-Day Saints which presents concerts in May and December and additional performances as requested. 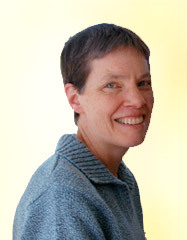 Elizabeth is a Nationally Certified Teacher of Music (NCTM) with the Music Teachers National Association. She is a member of the Professional Music Teachers of New Mexico (PMTNM) and the Albuquerque Music Teachers Association (AMTA) where she served as past treasurer for 6 years. She and her husband Gordon are the parents of 4 sons.